Harms is now your source for the Resista Floor Care line, featuring a variety of products to protect and preserve the beauty of your floor. fills available in 4 lb Pail and 24oz Premist. Spot Remover - This spray is highly effective on everyday spot and stain removal. Water based and safe on all carpets and rugs. Pet Stain & Odor Eliminator- The Pet Stain and Odor Eliminator is exceptional at removing tough pet stains and odors. The patented formula stops urine decomposition and knocks odors out immediately. Hard Surface Cleaning Kit - The Resista Hard Surface Cleaning Kit is the perfect tool to help customers keep their floors looking beautiful. The Electrostatic Cloth lifts dust, dirt and hair that build up and scratch floors. Hardwood Floor Cleaner - Resista Hardwood Floor Cleaner offers superior cleaning without leaving residues and streaks. How? Lower surface tensions! The lower the tension, the better the cleaning and fewer streaks! Laminate Floor Cleaner - Resista Laminate Floor Cleaner also contains a special blend of surfactants that clean without streaking. Contains no vinegar or ammonia. Ceramic Cleaner - Resista Ceramic Cleaner is specifically formulated to clean ceramic.High performance surfactants have low surface tensions to lift tough stains and dirt from tile. Resilient Cleaner - Resista Resilient Cleaner is blended to be the very best for resilient care. The formula is a special blend of surfactants, ammonia that provides superior cleaning performance that leaves a beautiful shine after drying. Items are occasionally sold out, so feel free to call or email us for availability on your desired product before traveling to the store. *NOTE: Some manufacturers require periodic professional steam cleaning as a condition of their warranty coverage. 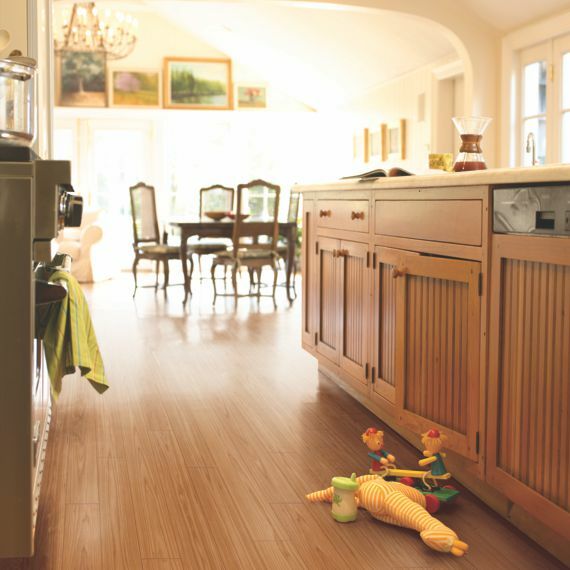 Overwhelmed by flooring material choices? Asking yourself a few simple questions about what you and your family want and need in a floor can make all the difference ... and Megan is here to guide the way.